Get ready to experience Bentley Bentayga Rentals in the USA. Said to be the fastest luxury SUV’s in the industry, the Bentayga offers a fusion of speed and comfort in this beautiful luxury car rental. The eye-catching grill is iconic of all Bentley’s. It’s the first thing you see as this marvel of engineering approaches. 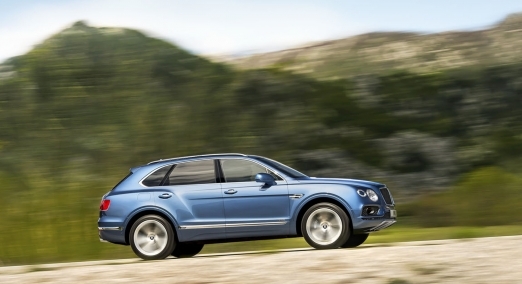 This new Bentley luxury SUV is the perfect car rental for any event or occasion. The engine is the most technologically advanced V12 engine produced in the world. It’s the perfect luxury car to rent if you’re traveling inside the US and you have several passengers or large items of luggage. There is plenty of space inside and has the same smooth ride our Bentley rentals are known for. According to customer feedback, it’s their favorite choice when they’re going to rent a Bentley Bentayga. The newly designed V12 was made from the ground up. Hire a Bentley Bentayga that comes equipped with a powerful engine, providing the perfect combination of power, torque, and efficiency of any luxury SUV for rent. The engine comes standard with dual turbochargers that have been optimized for the highest performance. One of the fastest SUV’s on the market it goes from 0-60 in 3.5 seconds and has a top speed of 187 mph. Traffic won’t be a concern because riding in this luxury motor car provides a relaxing environment for you and your guest. The exterior showcases Bentley’s timeless design taking luxury to all new boundaries. The Bentayga sports the four familiar round headlights so you can tell it’s unmistakably a Bentley. The body is crafted from aluminum and showcases Bentley’s signature lines and seamless smooth surfaces. It comes equipped with fully adaptive LED headlamps that fit flush with the body allowing you to navigate through any dark area you are driving through. Rent Bentley Bentayga in Miami, New York, Los Angeles, Las Vegas, San Diego, San Francisco and experience the high-class interior with all the latest technology. The interior houses a combination of the finest materials around. Rare woods and exotic leathers make the Bentayga’s interior elegant and refined. The beautiful craftsmanship and attention to detail can be seen in every section of the interior. Your passengers will be impressed with the soothing interior as soon as they get into this luxury SUV. The Bentayga’s many lists of luxuries are guaranteed to make your next trip an unforgettable one. If you’re traveling with family or picking up your next potential clients, this is the most versatile Bentley SUV rental. Make your time on the road an unforgettable memory that will build long-lasting memories. At Diamond Exotic Rentals we want our customers to travel in the most luxurious way. Hire a Bentley Bentayga at a cost of $1995 per day but we can offer you discounted rates for long-term rentals. Rent a Bentley in the USA with Diamond Exotic rentals today and make your next journey unforgettable! We have the ultimate luxury rental cars available all around the US.